Authentication is the process of providing credentials to a remote process, having those credentials verified and given access to the requested resource. In the context of Red5 Pro, these credentials are typically collected via a form, attached to the connection and sent to the server whereby you can handle them. In the connection handler, you can choose to verify these credentials using a database and then either accept the connection or deny the connection. The clientside SDKs can then handle the result of this process when the server sends back the response. In this section, you will setup your workspace by cloning the github repository, downloading our iOS SDk and setting up Eclipse. 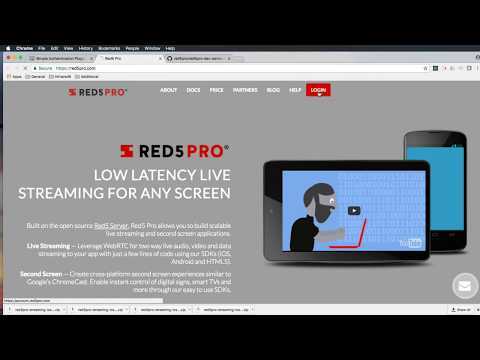 Download Red5 Pro Streaming SDK for iOS. Once it finishes downloading, Expand the file. Congratulations! You have just added connection level authentication to your example Red5 Pro Server Application!